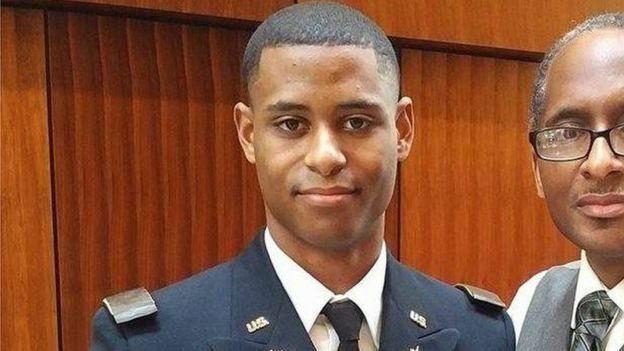 The FBI is looking into whether the fatal stabbing of a black student by a white student at the University of Maryland was a hate crime. 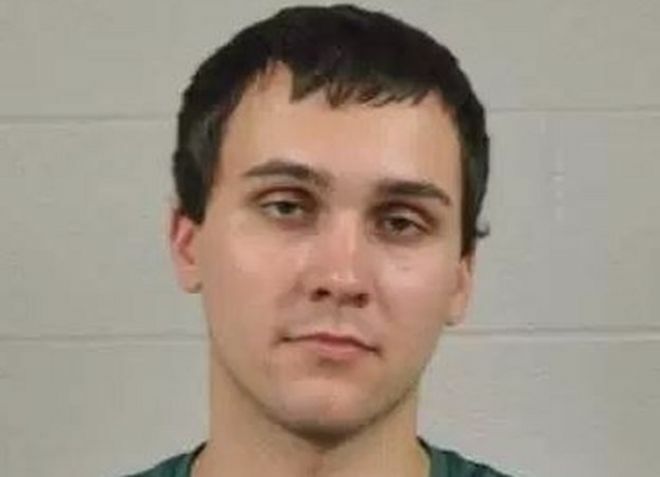 Sean Christopher Urbanski, 22, was arrested on murder charges in the death of Richard Collins III in the early hours of Saturday, according to police. Mr Collins, 23, was visiting friends at the College Park campus when he was stabbed in the chest with a knife. The victim was commissioned as a US Army lieutenant two days earlier. He was set to graduate from Bowie State University on Tuesday. Local police asked the FBI to help in the investigation after discovering Mr Urbanski belonged to a Facebook group called “Alt-Reich Nation”. The online community featured disparaging content about African Americans, women, Jews and others, according to University of Maryland Police Chief David Mitchell. “We are here to evaluate that as an ongoing concern with respect to whether or not this was a hate crime,” Gordon Johnson, special agent in charge of the FBI’s Baltimore field office, told reporters on Sunday. Police said Mr Collins was with two friends near a bus stop on campus at around 03:00 local time (07:00 GMT). Witnesses told the police they heard Mr Urbanski screaming before he approached Mr Collins and his friends. Mr Collins said “no” before Mr Urbanski allegedly stabbed him once in the chest. He was taken to Prince George’s County Shock Trauma, where he was declared dead. Two police officers reportedly found Mr Urbanski sitting on a bench about 50ft (15m) from where Mr Collins was stabbed. He was taken into custody and charged with first- and second-degree murder as well as first-degree assault. University of Maryland President Wallace D Loh said in a statement the attack had “shocked, saddened, and angered our community and beyond”. Dr Artie Lee Travis, Bowie State’s vice-president of student affairs, said he hopes the investigation moves forward. “Hate has no place in America,” he said.